You will notice 2 early sales in the month of February and then the majority of home sales occurred between April and August. There were a few stragglers in Sept and Nov. Once we reach August 1st new sales significantly slowed down probably because for the "School Year Effect". If you are thinking about selling in 2018 it's important to to get your house ready for the market in the Early part of the Year. If you wait until JUNE.....you will have a lot more competition. 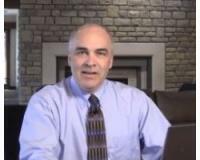 NOTE: I like to bring houses to market approximately the last week of February or 1st first week of March (when possible) to take advantage the uptick that we see in the early spring and beat the sellers that wait until May or June to come to the market. 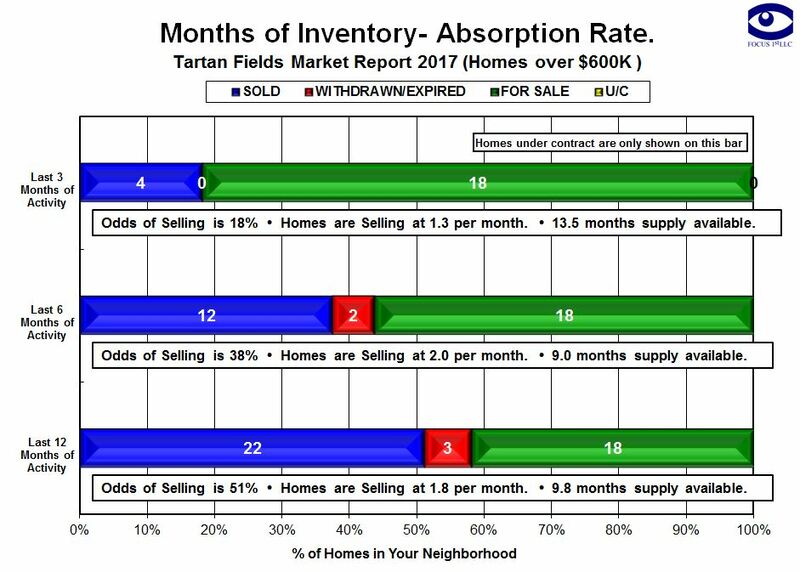 This Absorption Rate Chart illustrates the Month of Supply of Home Inventory above $600K. Please note it takes into consideration sales in the last 3 months 6 months and 12 months. Based on the trailing 12 months activity there are currently 9.8 months worth of inventory on the market. 3 Listings expired or were withdrawn. Active - Sold and Expired Chart. 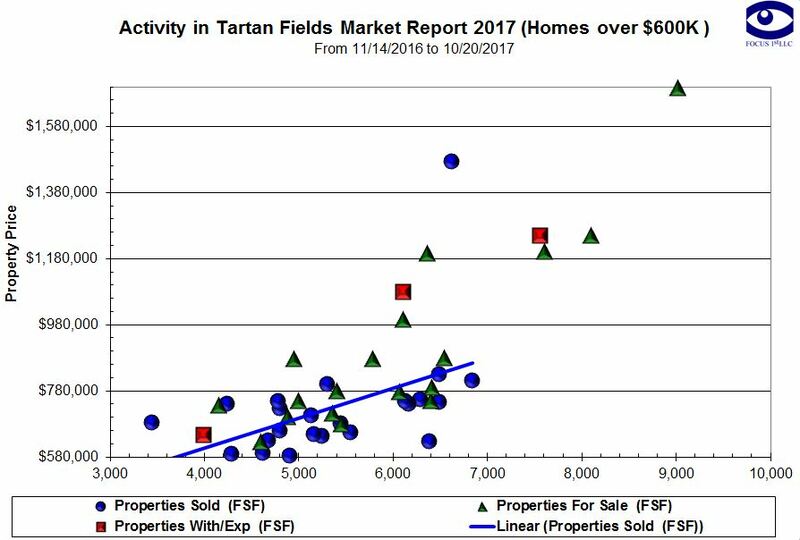 The Active-Sold-Expired Chart compares the Square footage of a property to the listing price and selling price of homes. 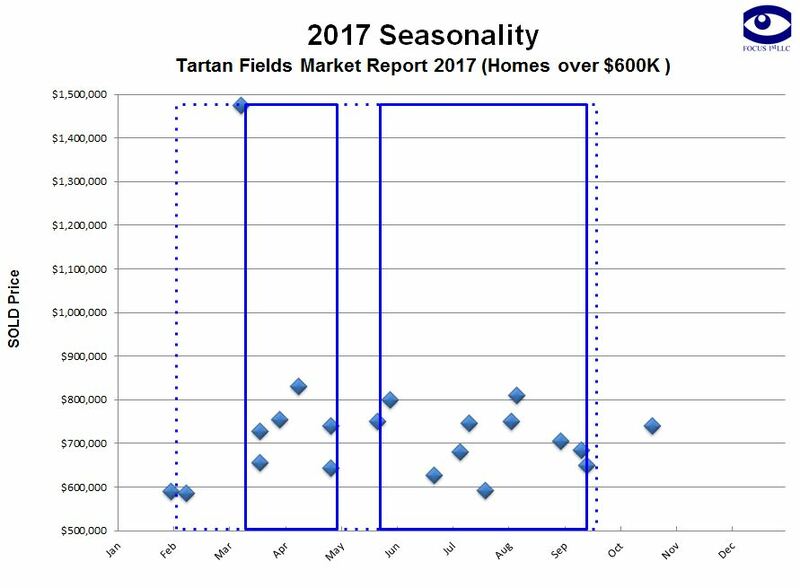 As you can see, the majority of the sales in Tartan have occurred below the $800,000 price range on this graph. 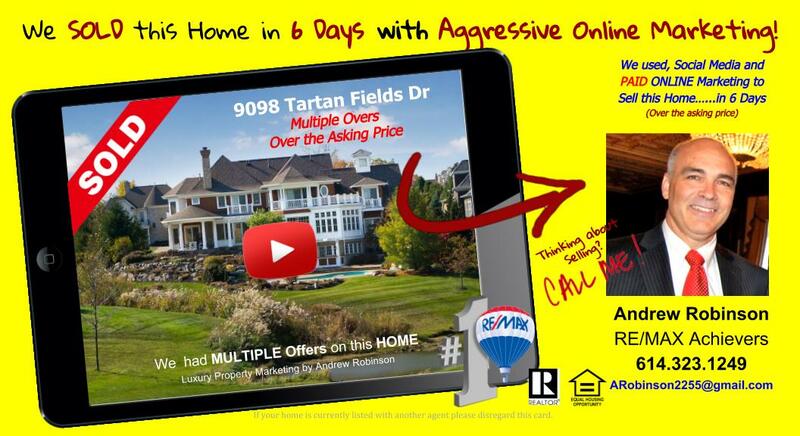 Even thought I noted above that there is a Seasonality to Sales this stunning home at 9098 Tartan Fields drive is a perfect example that you can SELL YOUR HOME anytime of the year by identifying the Unique Selling Features of a home and using those features in targeted advertising to drive increase activity to a property and encourage multiple offers. 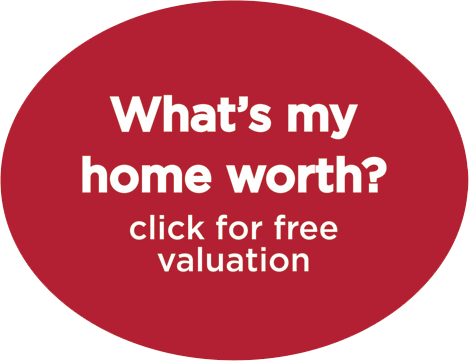 Check out what your home might be worth in today's market. Active Listing in the Dublin Area.